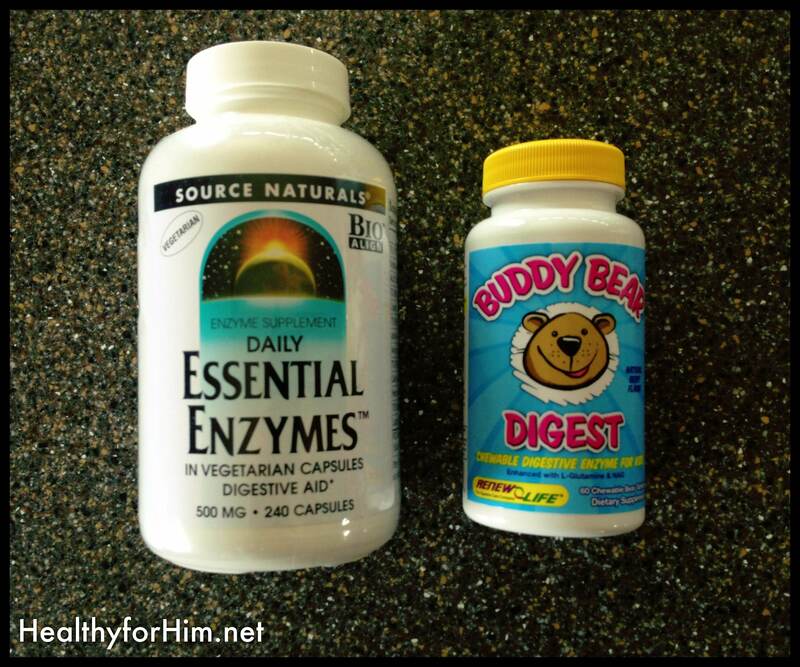 The brand on the right we get from Vitacost.com and we get the “Buddy Bear” enzymes for the kids from Amazon.com. Do you have trouble digesting food? The two symptoms of this are either stools passing too quickly, or not quickly enough. Either partly digested food in stools, or sitting on the potty for WAY too long. Going to the bathroom should NOT be such a chore or a panic… especially on a daily basis. Personally, I had no clue because going to the bathroom is kind of… well, personal. So you don’t really discuss it. A couple of weeks ago at my reunion, when I talked about being sick with some close friends they had this “ah-ha” moment when they recalled being in the bathroom, waiting on me, A LOT. But honestly? It’s a fact of life – and it’s crucial to your immune system and health. Shame on us for NOT talking about something that could help save our lives, or at the very least improve our health greatly. 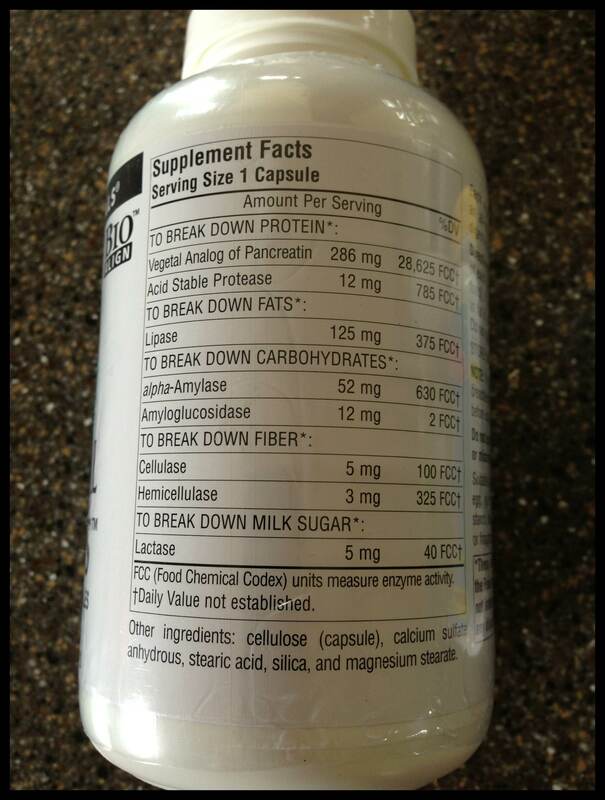 If you have problems with either of the above, gas or bloating… and you’ve cut out dairy, gluten, and sugar… you maybe need to look at digestive enzymes. There are enzymes in raw food that helps our body break those foods down and turn them into energy. When we cook food, eat processed food (dead food), or preserve foods – they lose those digestive enzymes, and they are difficult for our bodies to break down and process to USE as our bodies are trying to HEAL. I used to feel like I had tumors in my gut … a lot. Had I not had a CT scan to prove there were no growths, I wouldn’t have believed it! It was as if food would just “sit” … and not process or VERY slowly enter my intestines. It’s common for people with MS to have troubles with constipation. It has to do with nerve endings and I believe gastroparesis. Read more about Gastroparesis here. If you don’t think constipation is just as big of an issue as malabsorption, just consider the amount of toxins your body is trying to get out of your system – and then, imagine them just SITTING in your gut… absorbing into you body. See an issue? Yes. Digestion is very important. This has been a tremendous help to our family. 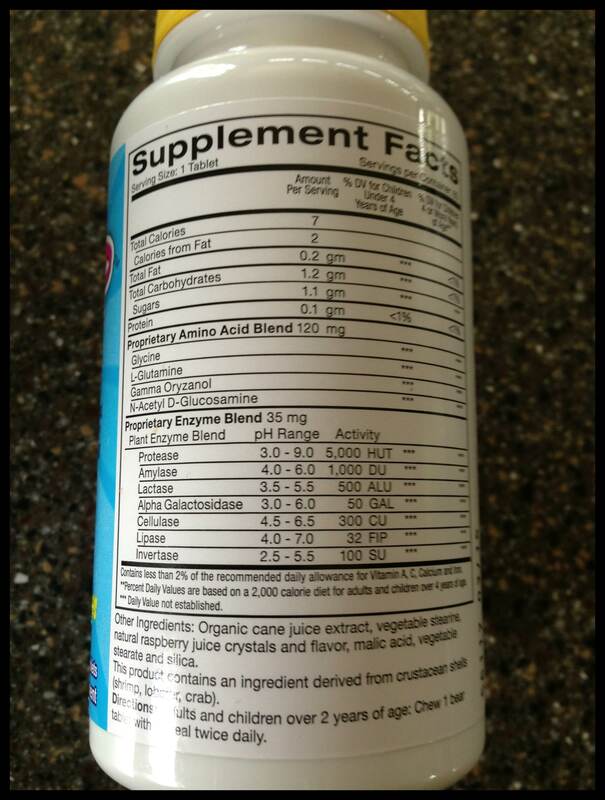 Children who were once unable to absorb foods, or were so constipated from their leaky gut damage – a big help! Posted on September 8, 2013, in Auto Immune Disease, Celiac/Gluten Sensitivity, Our Struggles, Truth and tagged auto immune disease, celiac disease, digestive enzymes, digestive enzymes for kids, Gastroparesis, gluten intolerance, healthy for him blog, MS, troubles going to the bathroom. Bookmark the permalink. 2 Comments.